Victoria Boutenko, who has done much to popularize the raw food movement, has often been credited with the idea of drinking greens by turning them into smoothies—a trend that is here to stay. The multiple health benefits of eating greens has been well documented and is clear. But, although I love greens—particularly spinach, broccoli and kale, even I find it a challenge sometimes to include them in my diet everyday. Lately, I’ve made an extra effort to have 1-2 servings of greens everyday by way of a salad, sautéed greens, or green smoothies. Besides trying to clean and declutter my apartment this spring, I’ve also been trying to declutter my mind and body. I’ve decreased screen time, opting to read instead; I started doing yoga again; I joined a barre class; and I completed a 10-day cleanse inspired by the 10-Day Green Smoothie Cleanse (the Spring Cleanse here is an adaptation of this one). A lot of people think of starting a detox regimen at the beginning of the year, but I think it’s something we should consider doing seasonally, every few months. After my cleanse, my body vibrated with energy and felt absolutely amazing! During my 10-day cleanse, I drank homemade green smoothies that comprised of super greens like kale, spinach, bok choy, chard and spring greens, to name a few. Combined with fruits and seeds (flax seeds or hemp seeds), each smoothie was a nutritious powerhouse. Besides the physical benefits, I found it so refreshing to simplify my meals and not have to think about what to eat. Each morning I made a huge green smoothie and drank it, and water, throughout the day. I felt so great during and after the 10-day cleanse that I’ve been looking forward to doing again. This time, I’d like to invite you to join me for the upcoming Spring Cleanse Challenge, when we’ll focus on drinking green smoothies for 10 days. Why green smoothies? When it comes to detox smoothies, I prefer the green ones because green vegetables, like dark leafy greens, are loaded with minerals, antioxidants and chlorophyll which nourish and oxygenate the liver cells. Green smoothies provide great support for detoxification. Spinach, for example, makes a great addition to juices and smoothies as it’s loaded with powerful antioxidants and chlorophyll. Many years ago I went on a 40-day juice fast. Yep, you read that right, FORTY DAYS! I’m not sure I’d do it again, but it was a great experience at the time. I lost excess weight and felt super energized. For the fast I bought a powerful juicer which extracted the juice from the pulp. Juices provide an instant boost of energy. When you’re drinking freshly made juice, you’re getting all the energy right away, bypassing the need to digest fibers before getting all the nutrients from the fruits and vegetables. A lot more greens and fruit can go into a serving of juice, making it more potent in nutrients and enzymes than smoothies. Fresh juices are a great way to flush out your system and cleanse your body. Something else that’s nice with juices is that you can juice almost any fruit or vegetable. You can’t really put a carrot or a beet in a smoothie, but you can certainly make juice out of them. On the other hand, juices don’t make you feel as full as smoothies. After drinking a juice, you might feel satisfied for 30 minutes to an hour, whereas a smoothie (still containing all the fiber) might keep you satisfied for up to three hours. 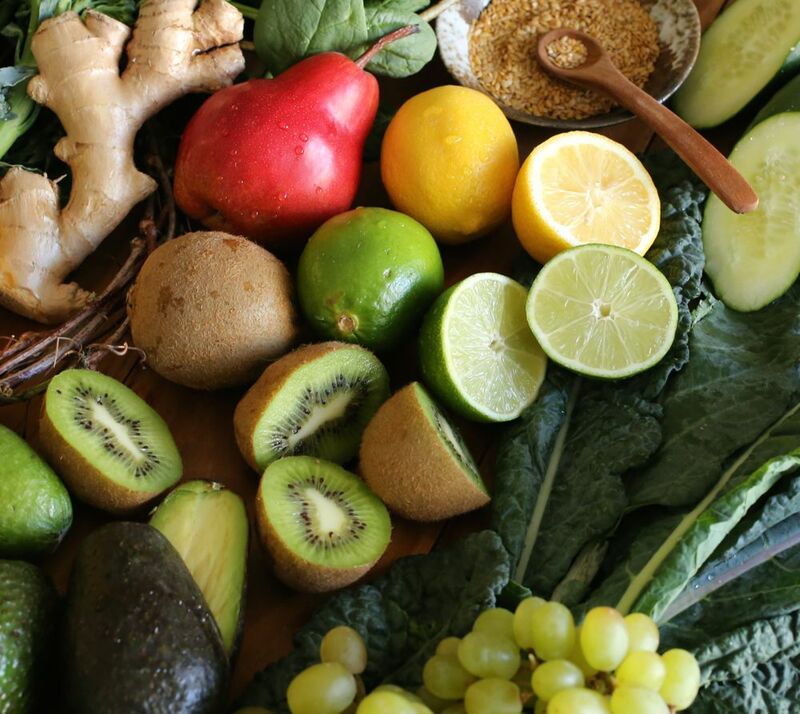 Green smoothies contain all the fiber from fruits and vegetables. The fiber in them acts like a chimney sweeper and has a cleansing effect on the bowels. Smoothies are a little easier to make, requiring only the use of a blender (a high speed blender, like a VitaMix, is best). As blenders are pretty easy to clean, many people prefer blending instead of juicing. Cleaning a juicer can be daunting at times. What’s also nice about green smoothies is that you can mix in a variety of fruits, or maybe add supplements and/or superfoods like hemp seeds, maca powder, cacao, and more for an added nutritional boost. Such additions to a juice would not be recommended because of the effect on the taste or texture of the juice. As smoothies contain whole foods with lots of fiber, we’ll focus on making green smoothies for our Spring Cleanse Challenge. However if you’d like to add green juices, feel free! The Green Smoothie Spring Cleanse Challenge will be different than our previousHealthy Lifestyle Challenge as it will only last for 10 days. However, some of you may choose to do it for only 2-3 days (like over a weekend); others may choose to do it for five days (Monday – Friday); or you can do it for the full 10-days. For either option, you can choose to do a full cleanse (only drinking green smoothies) or a modified version (drinking smoothies with light nutritional snacks). It’s really up to you as you know the needs of your body best. The Spring Cleanse Challenge will begin Monday, May 25th. If you’ve never gone on a cleanse before, you may want to take some time to ease into it. Before officially starting, you might try a green smoothie for breakfast and eat light, healthy meals (like green salads) for lunch and dinner, avoiding processed sugar, meats, dairy, etc. Then, try to have green smoothies for breakfast and lunch and a light healthy salad for dinner. Then try green smoothies all day for 3-10 days, whichever you prefer, but remember it’s a “Challenge”, so challenge yourself. When you begin your full cleanse, you should aim to drink up to 60 ounces of green smoothies per day, in lieu of meals. If you’d like to do a modified version, you can substitute 1-2 meals with green smoothies and/or have healthy snacks such as carrots, celery and cucumbers. Smoothies will be made primarily of greens, fruit, and water. I’ll provide recipe suggestions, like the one below for a Spinach-Mango Smoothie. There’s no other more important detox rule than this one: hydrate your body! Whether you’re trying to lose a few pounds or you just want to flush the toxins out of your body, hydration is the key to making this successful. Begin every morning by drinking two large glasses of water. I like to add fresh lemon juice as it provides enzymes to get your digestive system started up and antioxidants to kick-start your body’s natural detox function. 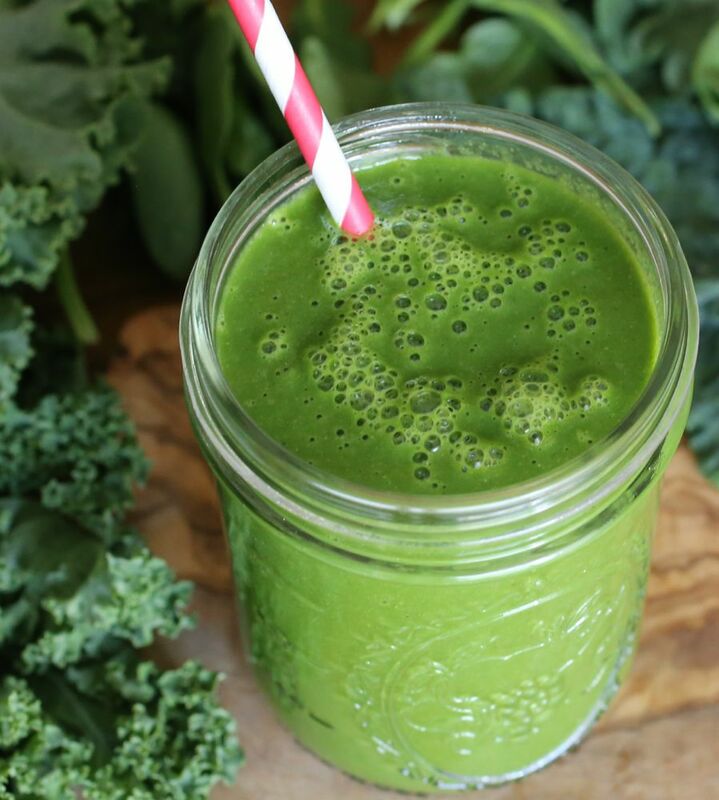 When you begin your cleanse, you should aim to drink up to 60 ounces of green smoothies per day. Each smoothie (I’ll provide recipes) will be for three servings – they’ll make about 36-48 ounces of smoothie, which you can divide into three servings of 12-16 ounces each. You can prepare your entire day’s worth of green smoothies in the morning and pack it up to take with you. If possible, keep it refrigerated and drink it at mealtimes or you can sip it as you feel hungry. Plan to drink at least 64 ounces of water everyday. It’s very important to drink a lot of water to help with the cleansing process. Herbal teas are also acceptable. Use organic ingredients when possible. If you can’t find organic fruits and vegetables, wash off the pesticides and waxes as best you can. 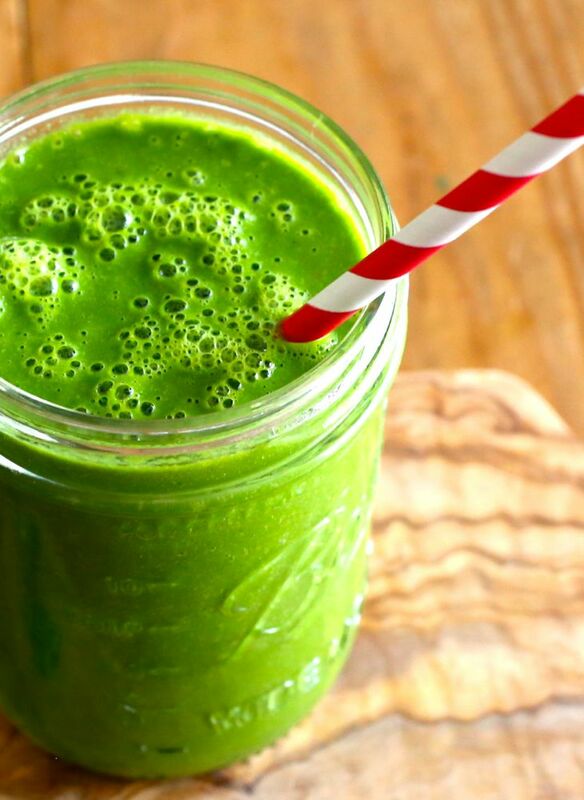 Use dark green leafy vegetables, fruits and water in your green smoothies during the cleanse. Dark green leafy vegetables include arugula, beet greens, bok choy, carrot top leaves, chard/Swiss chard, collard greens, dandelion greens, kale, dark green leaf lettuce, mustard greens, parsley, radish tops, sorrel, spinach, spring greens, turnip greens, and watercress. If I’ve omitted any in the list, feel free to modify. Rotate your greens so you don’t build up harmful amounts of alkaloids. Remove the stems for greens such as kale and chard for better taste. Fruits used can be fresh or frozen. If you feel you need additional protein, especially if you’re working out, you can add protein powder to your smoothie. Protein powder helps you feel full longer and will help keep your metabolism high. Try to use a non-dairy, plant-based protein powder. Additions such as cacao or superfood powders such as maca, goji, acai, etc. can be added if you want. Add ground flaxseeds or hemp seeds to smoothies. Use spring or purified water in your green smoothies. The use of tap water is not recommended. Another option is alkaline water, which aids in detoxification and better hydration. You can add ice if you want. 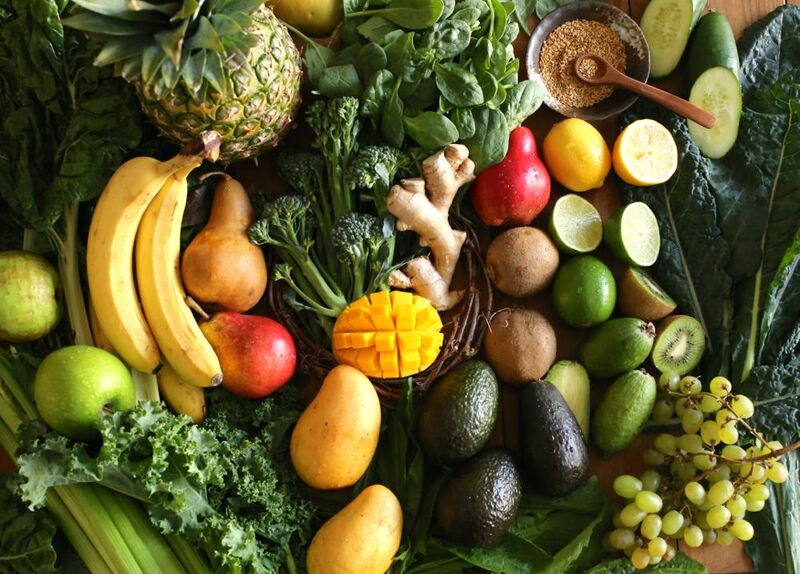 During the Cleanse, do not include any starchy vegetables such as sweet potatoes, carrots, beets, or any other vegetable that are not leafy greens. Do not consume refined and processed foods, refined sugar, refined carbohydrates (white bread, pastas, etc. ), animal products, meat, dairy (milk, cheese, etc. ), alcohol, coffee, sodas (including diet sodas), and fried foods. Would you like your body to vibrate with energy and feel absolutely amazing, just in time for summer? If yes, then join me! The Spring Cleanse will start in two weeks, on May 25th. If you’re interested, please leave a comment or send me an email to let me know. Until then, here’s flavorful detox smoothie you can try at home. Let me know if you have any questions. Whiz all ingredients in a blender and enjoy! True! I forgot to mention the glowing skin!!!! 🙂 thank you! No coffee? No pasta? How about the breakfast at your place? Is that the 10th day celebration? By the way, I didn’t know you can eat carrot top leaves!